The Government has today laid draft regulations in Parliament that revise the Electronic Communications Code (ECC) in order to make it easier and cheaper for network operators to roll-out new broadband and telecoms infrastructure (masts, cables etc.) on public and private land. At present the way related land is valued means that utility providers (water, electricity etc.) 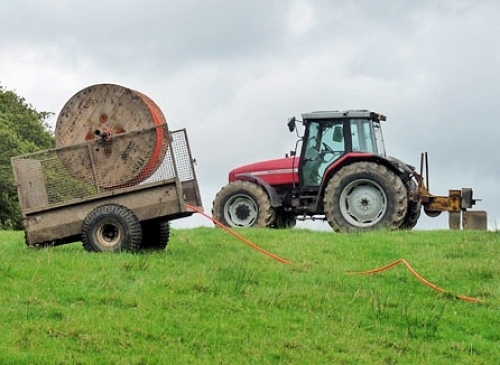 often pay less for land access than broadband and mobile providers, which has become more of a problem now that many people regard the latter as being their 4th utility service; especially in rural areas where there’s a lot of wide open land for operators to go through. Earlier this year the Government responded to this challenge by introducing a revised ECC via the Digital Economy Act 2017 (details), which makes changes that should bring down the rents that telecoms operators pay to landowners when installing new infrastructure. The new code will also make it easier for operators to upgrade or share their equipment with rivals and it introduces standards for tackling related legal disputes. “[The Royal Institute of Chartered Surveyors] recognises the critical role that a modern, efficient and equitable digital infrastructure has on the future development of the UK economy. RICS has worked closely with our colleagues in DCMS to ensure that the new Code enables investment in our national digital infrastructure whilst balancing the needs of the public and private property owners. Sadly many private land owners remain staunchly opposed to anything that would result in them having both less control over their land and / or reduced income from the rental paid by telecoms operators for allowing such access. This is somewhat of a catch-22 because if landowners force operators to pay more or reject them then it can result in local communities being left with poor connectivity, which also affects the landowners. Sadly a recent report in Farmers Weekly suggested that the number of landowners seeking to remove operators from their property had increased by at least 30% due to fears over the code’s impact. According to today’s announcement, the supporting regulations laid in Parliament should bring the new Code into force by the end of December 2017.